(CNN) - Before the ink completely dried on the Supreme Court's landmark decision on the nation's health care law, pundits summed up its political impact: It handed President Barack Obama a huge policy win - but gave Mitt Romney a political battle cry. The court's affirming of the Affordable Care Act has angered and pumped up conservatives even more to repeal Obamacare. But are they now at full-throttle enthusiasm for a Romney presidency? No, as much as they know they want Obama out they also know Romney just bought the RNC primaries and is now just the "lesser of two evils" candidate in the general election. Anything but Bush is what gave us Obama. I personally am sick of voting for evil. I'll have to say after having participated in the RNC caucus and conventions this year and watching how Romney was able to just buy his spot, I am renouncing my status as a republican. I am now an independent soon to be a rebel soldier if laws are not passed banning super pacs. It's time America stands up to this and purge this corruption out of our government. It is actually our civic duty to do so as American citizens. An estimated 30 million Conservative Evangelicals sat out the 2008 election because of their dismay that McCain had slipped in the backdoor to the nomination instead of a "true Conservative". That won't happen this time; the displeasure with Obama is too strong. It is really sad that you even offer Rawmoney as a presidential candidate. And, the best way to lose an election is to get the support of the Tea Party. I thought teaparty have learnt something. They came in drove in 2010 and elected a lot of GOP for congress. What have they done so far? Totally nothing. Do you expect now something will be done?? You better give yourselves another thought! Here in Georgia, the Tea Party is actually putting pressure on our repug Governor. They're pressing for Ethics Reform. Pressing Nathan Deal on ethics reform. Good Luck with that one. Not one of them have read the healthcare law because they are all too blinded by hate and ignorance. Romneycare was passed into law and now Romneycare Part Deux is passed as Obamacare,how could conservatives morally back Romney unless of course they are phony and only care about Party First. The solution is simple. Get some health insurance and you will not be fined. I think the Chief Justice's ruling that the fine is a tax is a bit of a stretch. It makes any fee that you pay a tax. 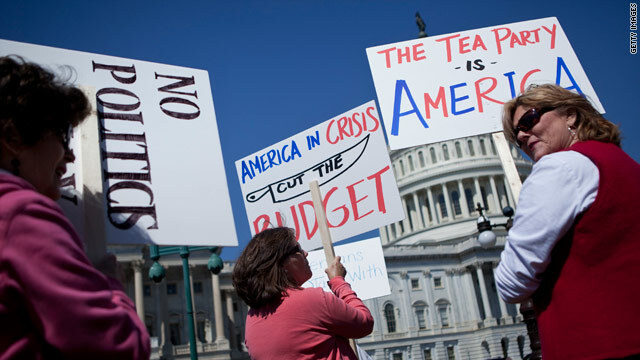 Who cares if the Tea Party wants to protest? It is unfortunate that the SCOTUS deemed the fine a tax. It is in fact more of a fee than a fine or a tax. If you do not have health insurance, you are charged a FEE based upon your income and HEALTH CARE INSURANCE IS PROVIDED TO YOU. By any definition of the word, it is a FEE. The only reason the IRS collects the fee for not having health insurance is because the IRS has the infrastructure in place to collect a fee from any and every person. I suppose that had the ACA created its' own fee collecting agency they would be complaining about growth in government. Why would Tea Party People support a presidentual candidate who's five sons all avoided voluntary military service ? Tea Party? What Tea Party? During the interview Romney held up his health care law as a model that "could inform Washington on ways to improve health care for all Americans." Congress passed the bill, The President signed it and the Supreme Court gave it the seal of approval. In this country that means it is engraved in stone. the only way it can be repealed now is for the Republicans to hold a majority in the house, win the presidency and get 60 votes in the senate. They need 60 votes or all it takes is one person to filibuster and the issue is dead. in what world do they really think that is going to happen. Move on sore losers. If the penalty for not buying insurance is a tax, it means that Obama broke his "no tax on the middle class" promise AND that Romney's claim of having not raised taxes in Mass. is false. Let's hold our breaths unto both campaigns and the partisan pundits admit that. The Tea Party has become a group of radical extremists, funded by undisclosed donors (possibly foreign) and wealthy individuals bent on destroying the middle class. Definately a detrimental threat to the health of the United States.